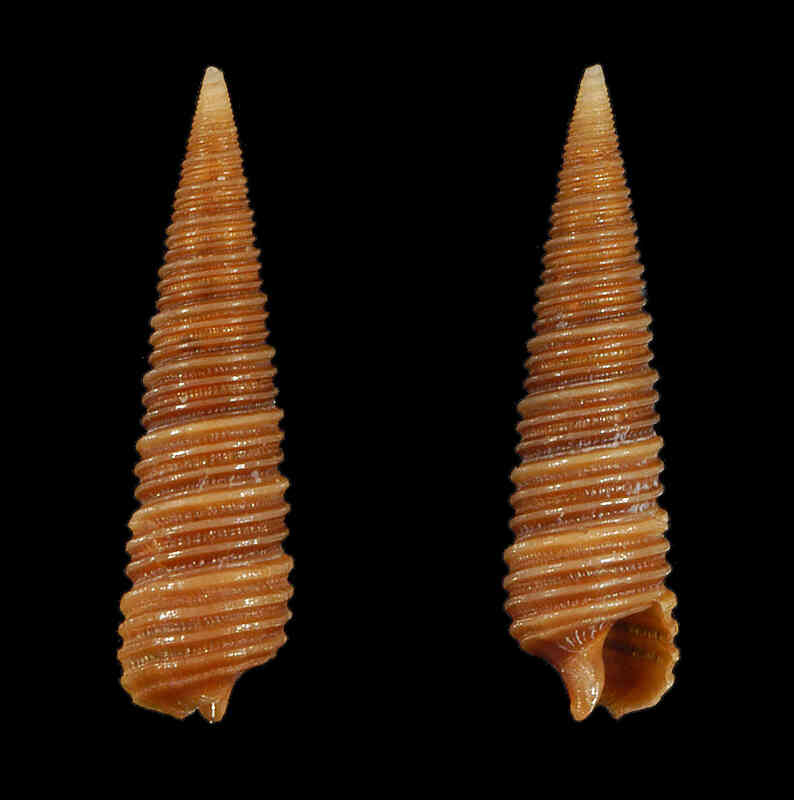 Shell size to 13 mm; shell conical, slender with flat whorls. Sculpture of 3 strong, spiral cords distributed evenly on whorls. Microscopic axial lines sometimes visible between spiral cords. Color orange to dark brown. It is possible that there are more than one species treated under the name adamsi, hence the uncertain identity of this species.